Beginners looking for easy treks in Uttarakhand is pretty common as everyone needs a start. There cannot be a better start to connect with nature than trekking. Are you a beginner in trekking and want to explore some amazing yet easy treks in Uttarakhand region? Uttarakhand – a well-kept Himalayan secret, is bound to tickle your adventurous side, with its expansive landscape, thrilling views, and pure splendor. 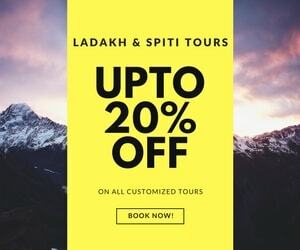 From Jim Corbett National Park to the Valley of flowers, from the Dhams of Badrinath, Kedarnath & holy places of Rishikesh, Haridwar, to the multitudes of thrilling adventure activities including river rafting, bungee jumping, many treks and even skiing around the region – Uttarakhand has you covered. 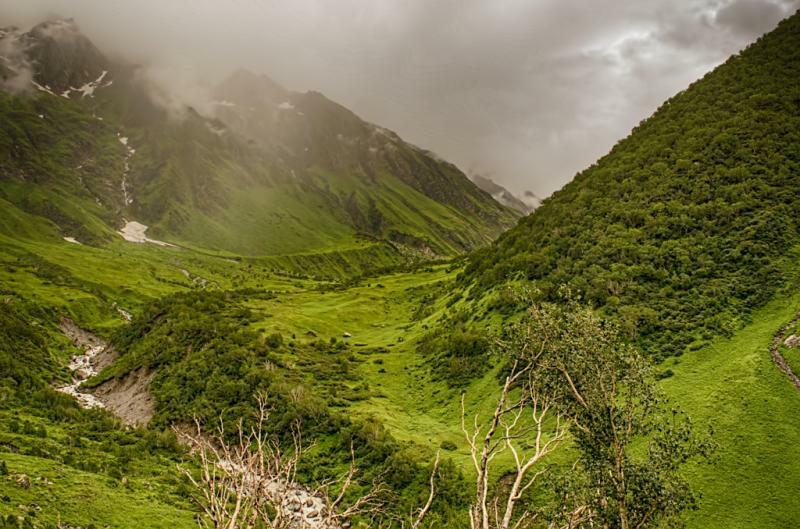 Uttarakhand is a travel chest for the wandering soul, beckoning you to come to explore! If you truly want to connect with yourself, with nature and find your center of peace, you need to climb some mountains, you guys! Trekking is the best escape from a life which rewards you with some of the prettiest views in this world. You get to see the sunrises before everyone else. If you are a beginner in trekking, haven’t climbed any mountains yet – don’t you worry I’ll tell you all the beginner level treks in Uttarakhand which you can do in a very short time. Often known as DevBhoomi (in line with all the Gods that loved the hills so much! ), literally “Land of Gods”, Uttarakhand is a paradise when it comes to beginner level treks. The most beautiful part of the journey is that it ain’t crowded. Do not forget to check out our article on easy treks in Himachal. A very negligible portion of tourists/travelers is long term trekkers. And add to that the benefit of Uttarakhand being an off-beat location. This state has some amazing beginner treks which you easily conquer in a duration of 3-4 days while having the best time of your life. These are some of the treks which you can start as a beginner. 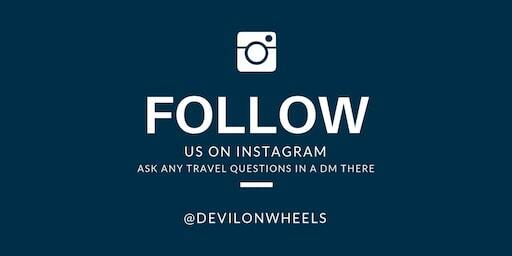 For all beginner level treks – I am assuming you’ve reached Dehradun (unless otherwise explicitly stated). Dehradun is connected by road, air and train alike. The airport is Jolly Grant Airport, Dehradun. There are cabs (shared/private) that are available near the Airport. Many flights fly daily from major domestic locations to reach the airport. There are multiple trains running between Delhi & Dehradun. The most convenient journey can be made in Shatabdi, which leaves at 6:45 AM and reaches Dehradun at 12:50 Pm. Another great option is Nanda Devi AC Express which leaves at 11:50 PM and reaches at 5:40 AM in Dehradun. Again, there are cabs (shared/private) available at the station. Overall, the journey will take you 6 hours of driving time. The journey is not tedious and if you’re a comfortable driver, you’ll be happy along the route. There are regular UPSRTC and URTC buses which run from Kashmiri Gate, Delhi to Dehradun. You can catch any of these buses and can reach Dehradun. Again, cabs/buses for your journey ahead will be available at the Bus Stand. For all journeys to reach Dehradun, it is better to reach as early in the morning as possible. With our almost always jam-packed schedules and difficulty in getting extended vacation days and also, to pack a punch and experience the realness – be diligent in starting early! Also, it should be appreciated that driving in the dark in the hills, especially for someone not acquainted with the mountainous driving, is not at all encouraged. 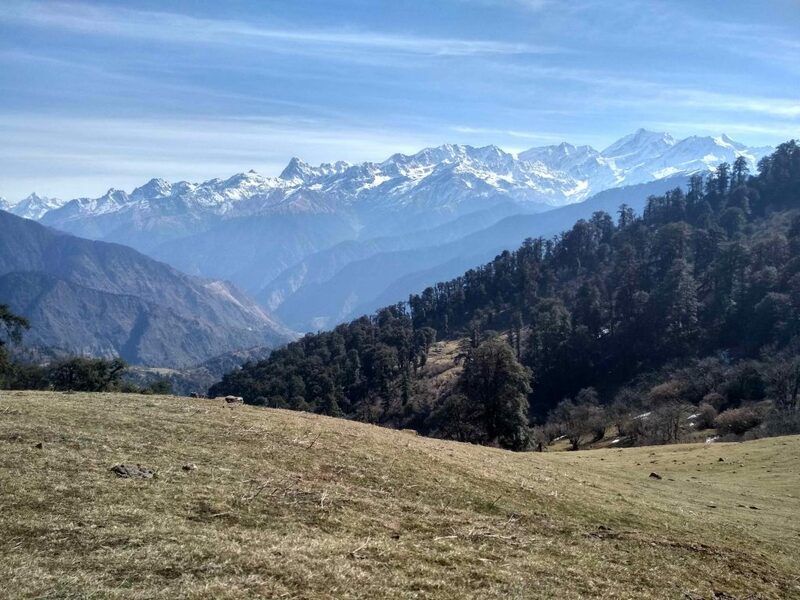 Naag Tibba is a gorgeous trek, with the trail taking you up one side of the mountain and the descent is on the other side – providing you with the most spectacular and varied views. Situated in the Garhwal hills, the Naag Tibba Trek is a perfect weekend getaway from Delhi. Reaching the top requires climbing up the Naag Tibba range to reach the Naag Tibba summit from base camp. Approximately, this will take you about 5-6 hours, depending upon your fitness level. Acclimatization is not a concern during the Naag Tibba trek as the maximum height you’ll achieve won’t have any dearth of oxygen. However, I must mention that you should carry sufficient water (and your own water bottle!) from your starting point of Pantwari village. The first water source is around 1.5 KMs along the trek and the second source is available near the Forest Department (adjacent to the gate), approximately 3.5 Kms from the village. Pantwari village. 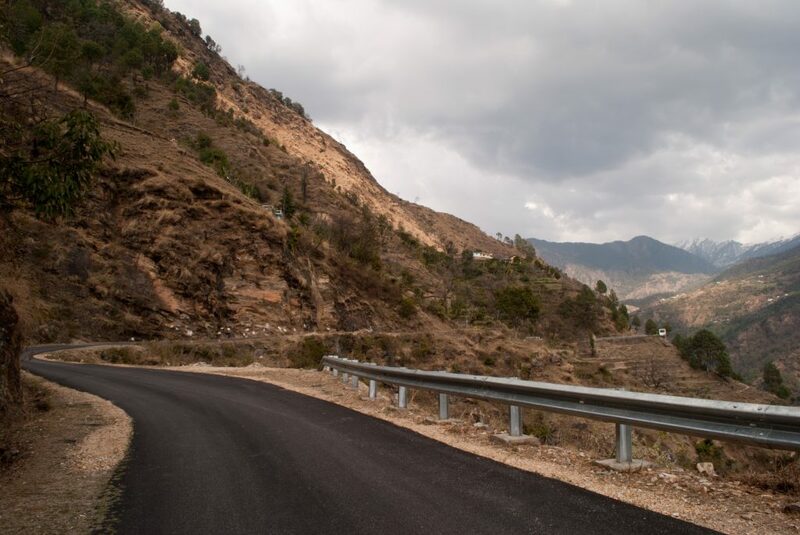 The journey to reach Pantwari village takes approximately 4 hours from Dehradun, covering a distance of 85 KMs, and takes you along Mussoorie, Kempty Falls, crossing over the Yamuna river. Having reached Dehradun, you will need to catch a bus or hire a taxi to Nainbagh. The total distance of 75 Kms will take you approximately 3 hours of driving time. If you’re driving on your own you should follow the route mentioned above in reaching Nainbagh. Once at your location, hire a jeep or hail an irregular bus towards Pantwari Village, which will take you another 30 minutes. The following is the most common itinerary for your reference. Reach Dehradun as early as possible and from there start your journey towards the base of the camp, i.e. Pantwari Village. Start trek from Pantwari to Camp 1/Khatian. The 4.5 KM stretch will take you almost 3 hours to trek. The trail is mostly defined in all places, whether it is the cemented start from the heart of the Pantwari village or the rocky markings along the trail further ahead. The climb is mostly gradual with certain steep points – making for an overall beautiful experience. Camp in night. Start trek from Camp 1/Khatian campsite towards the Naag Tibba summit (9,915 Ft) via the Naag Tibba Base (8,530 Ft). 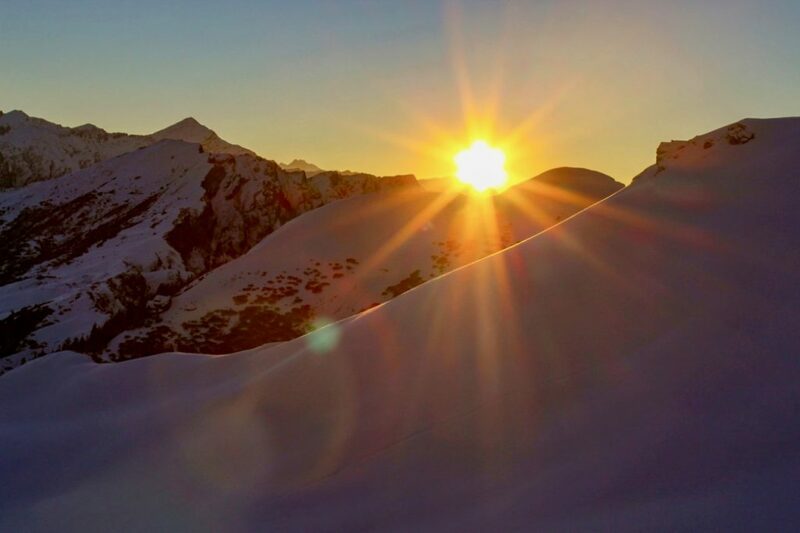 Atop the summit, you will get jaw-drop gorgeous vies of the Garhwal peaks including Swargrohini, Bandarpoonch, Kala Nag, Srikanta, and Gangotri. In the winter months, there will be a tonne of snow and the experience will have its own magic. After looking out into the views to your heart’s desire, it is time to start your descend to Bhatwadi village from the opposite side of the hill, or choose to head back to Pantwari. The journey of 3 KMs to the summit will take you approx. 2 hours and the descent of ~8 KMs will be around 3 hours more. There is a 10-minute section in the trail that is especially steep right before the summit. Reach back to Dehradun and then an overnight bus to Delhi. Of course, both days it is essential to rise early, in order to make the most of the experience. As a beginner trekker, it is advised to get a guide who knows the trails and the forests well. A significantly important place, especially in terms of the Hindu Mythology, the Kedarkantha trek is slightly more challenging than the Naag Tibba Trek. Involving a bigger time commitment, if you are up for a challenge, and want to be rewarded with spectacular views, then Kedarkantha Trek will not disappoint. 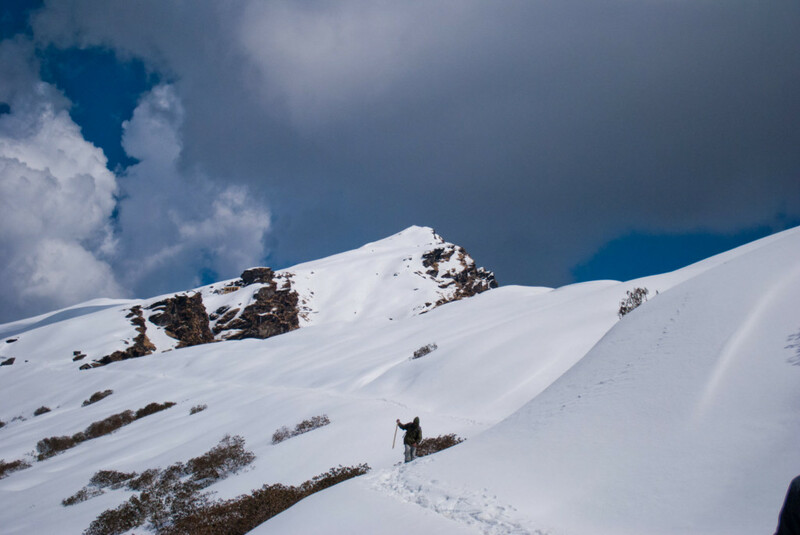 This trek will take you through the views of frozen lakes, has some of the prettiest campsites across all Himalayan Treks and show off some magnificent mountain peaks. Although the trek is only five days, you’ll get an opportunity to climb the summit in this short amount of time, which itself is enough reason to do this trek. Sankri Village, Uttarakhand. Again, as for most Uttarakhand treks, reach Dehradun by your chosen mode of transportation as early in the AM as possible. From Dehradun, push off for Sankri Village – the starting point of your Uttarakhand Adventure. This journey of approximately 4 KMs will take you about 3-4 hours, depending upon your fitness levels. The view in the trek will have you mesmerized, I guarantee you! The trail might be a little steep in certain places and will definitely test your endurance. Juda ka Talab is situated at a height of 9,100 Ft. Camp at Juda Ka Talab and enjoy the magical night sky. Another 4 KM trek for you today! This journey will take you anywhere from 3-5 hours, depending upon your fitness levels skills in the hills. You will go through meadows and densely forested hills and cross steep ridges. From the base camp, the Kedarkantha Peak is visible for your viewing pleasure. The day to conquer literal mountains! The total distance of 6 KMs will take you from 11250 Ft to 12500 Ft and take you back down to 8,900 Ft. What a day! It is ESSENTIAL to start your day early as the journey is long and tedious (but the views are well worth it!). At the top, Kedarkantha summit offers 360-degree arresting views of Himalayan ranges mixed with white and dark blue clouds. There is a small temple dedicated to Shivji and Goddess Parvati, with a small shrine for Lord Ganesh. Take your time, relax and soak in the magnanimous views to your heart’s content – it is hard to describe in words the sights only your heart can capture. The downward journey to Hargaon will take you 2 hours. Celebrate with a bonfire in Hargaon! Since you’re mostly descending, the overall journey from Hargaon to Sankri will take you 3ish hours. You’ll be at a height of 6400 Ft in Sankri. 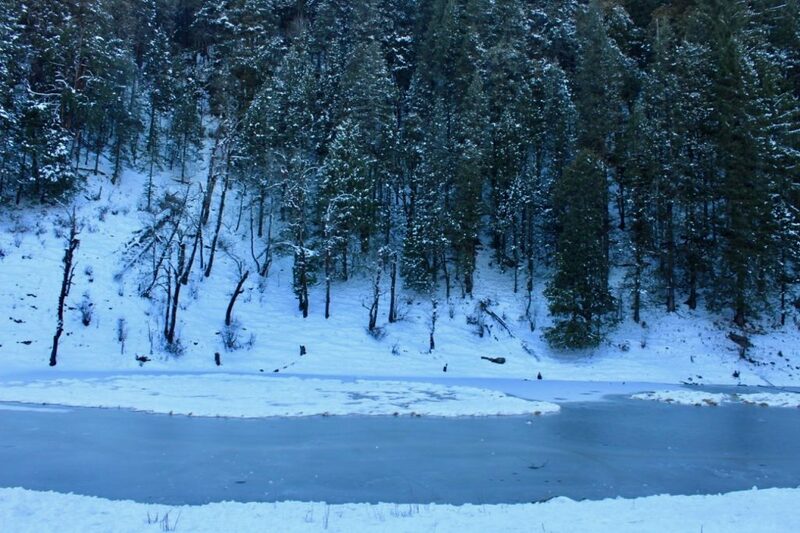 This beginner level trek, Kedarkantha is especially beautiful in the winter months. One of the most remarkable crests in the Himalayan region, both nature lovers and ardent trekkers tend to enjoy the experience. Often known as the most beautiful meadow in India, Dayara Bugyal Trek can only be contested by Bedni Bugyal. An all-time favorite location for the local shepherds to take their flock to Dayara, the richness of Himalayan peaks, often seen as the givers of life is the definition of this place. Dayara Bugyal is gorgeous, there is no denying that. Words and stories don’t do justice to the place and it is truly a sight you must experience to understand. While the summer months will be a treat to watch, given the lushness and sprinkling of life across the meadow, the winter months carry their own charm. The unending blanket of white on the mighty and majestic Himalayas is awe-inspiring. This trail of the Dayara Bugyal Trek crosses through beautiful forests and meadows. It’s one of the most thrilling meadows you will ever trek on. Bandarpoonch peak, Gangotri ranges, Draupalika Danda ranges are very close, infect right in front of you. This trek will take you through a mixture of Oak, Rhododendron and Maple forests. Once you reach the meadow, however, all will be forgotten and much will be remembered! Reach Dehradun using your preferred mode of transportation as described above. From It is best if you reach early in the AM for Dehradun, so plan accordingly. The drive from Dehradun is enthralling, taking you through lovely woodlands and should be covered in 8-9 hours. Since you’ll be driving next to the Bhagirathi River for a better part of the journey, the music of the river will definitely keep you engrossed. Once you reach Uttarkashi, you will split towards Batwari. The views entering Raithal will leave you speechless, especially during the sunset over Jaonli peak! You’ll be climbing up from 7,400 Ft of Raithal to 9,500 Ft of Gui. The trek today is easy-moderate and should take you around 5 hours, depending upon your fitness levels. I must mention that you need to carry enough water as there are no major water resources during this part of the trek. The views along the trek include the Srikhand Mahadev peak along with Gangotri (1,2,3). The higher up you go, the clearer the views become. The trail is laid out well. About an hour into the trek, you will come across a small water hand pump. After this, you’ll be engulfed with the woods. Gui campsite is located in a small clearing. Enjoy your time star-gazing through the night. Today’s trek will take about 4 hours and you’ll be climbing up to 11,100 Ft. This terrain is mostly a flat trail through the forest. Again, be sure to carry water. Today, the view on the other side. There is some igloo shaped forest department structures once you reach Barnala. The view is only on one side but makes up spectacularly. You may choose to visit the Barnala meadows as well today. This requires an effort of 10-15 minutes. There is a small lake along with a Nag-Devta Temple. While the walk to reach the temple is steep, the views are worth every breath! Try reaching the temple around sunset as the nearby ranges and mountain peaks light up in the colors of the sunsets! Today, you’ll be climbing up to the maximum height of 12,057 Ft and returning back to 9,500 Ft. The journey is a moderate trek and you walk throw meadows before the final hike and should take you around 5-6 hours. There is one water source on way, so carry enough water and remember to fill up! There is a well-laid stone path which takes you up the ascend through the dense forest after the Barnala meadow. Bhandar Poonch and Kala Nag are a sight to see when on the trek. If visiting beginning of summer season, you’ll spot lots of flowers across the meadow and in the winter months, you’ll be welcomed by powdery snow splattered across the views. Enjoy as much time as you like here before starting your descent. Today’s journey of your return will take around 4 hours. So, it is imperative to start your trek early. Time to head back home, younguns! Since it is a longer duration trek, it might be useful, especially for beginner trekkers to have a guide along! The Meadows are beckoning and inviting and while the journey might not be grilling in terms of toughness, the views at the meadow are something no one can describe. Experience for yourself and know what connecting with oneself and nature truly mean. If you want to enjoy the serenity of winter months and have the stark white stare right into your soul, then this is one of the best treks. The biggest selling feature of the trek has to be its iconic campsites. Also, as an example, when you climb up to Deoriatal, you’ll be perched right up on a beautiful lake while all the Himalayan peaks engulf the lake. And, there you are camping around it. Likewise, I must talk about the second campsite of Rohini Bugyal, which smacks down in the middle of the forest. And finally the amazing summit climb on snow! What can I even say about this particular trek! Obviously, it won’t be enough. But, let me just say this – you don’t get this kind of snow climbs in all the treks. 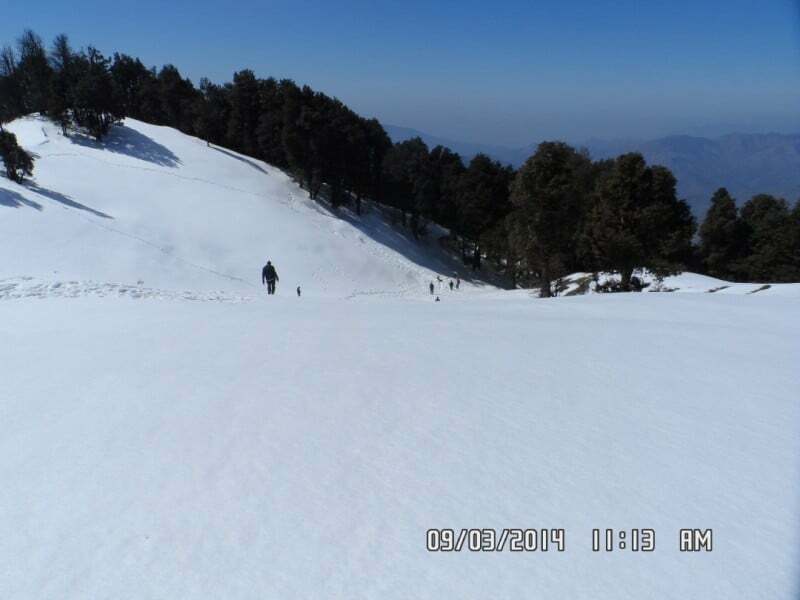 If you are a beginner searching for a trek in winters, then this trek is perfect for you. The journey is scenic and the views are astounding. You will see the confluence of Alaknanda and Bhagirathi (thus, forming Ganga). Sari is at an elevation of 6600 Ft. From Haridwar, the journey will take you 8 hours. A relatively easier day with only 3 KMs of trekking time, could take you anywhere from 1-2 hours. The trek today is easy and the trail is well defined. There are no water sources, so remember to carry your own water from Sari! If traveling in the spring months, the trail will be colored with beautiful Rhododendrons. 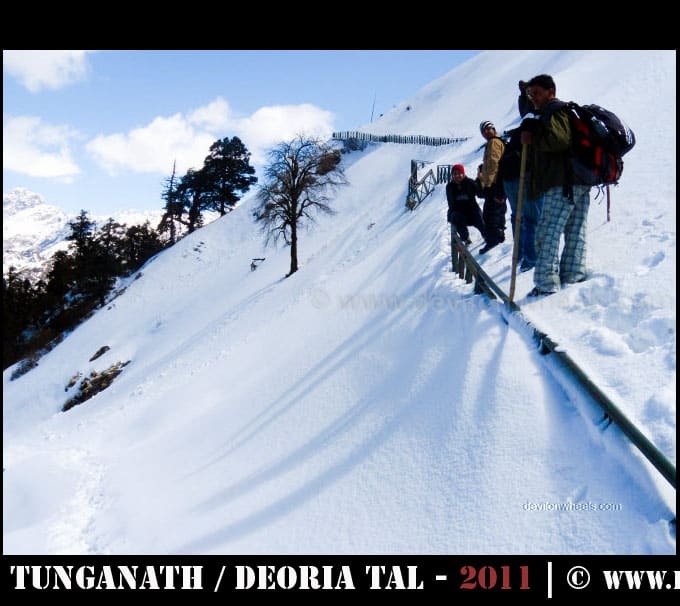 Deoriatal or Devariya Tal comes after a short down-hill trek after reaching a dhaba enroute. Hope for a clear night – the views will be spectacular from your campsite! Did you know – Rhododendrons are juiced to make the perfectly fruity drink – ask some locals if same can be available for your tasting pleasure! This is a big mammoth packed day. You will be covering a distance of 7 KMs, which will take you around 6-7 hours. The trek today is moderate, you’ll have an easy climb for the first 45 minutes, followed by a gradual descend for 40 minutes and rapidly succeeded by another ascend of an hour towards Rohini Bugyal. 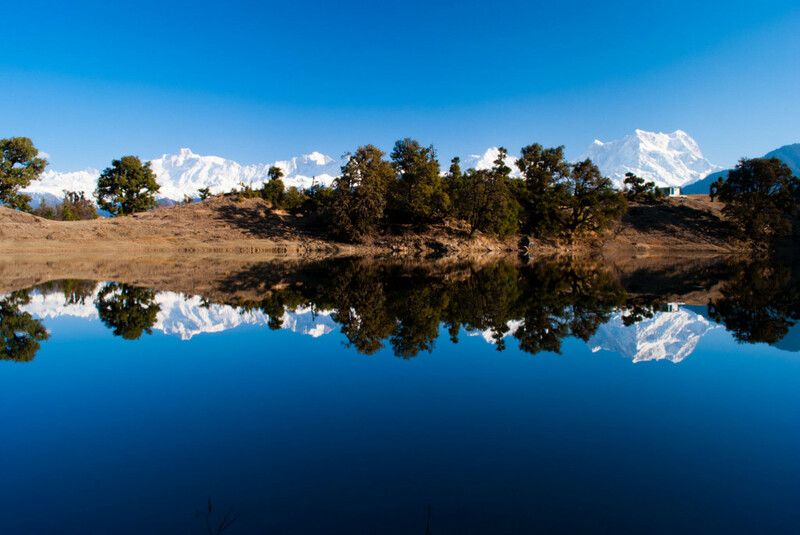 You’ll have the option to fill your water bottles 20 minutes before reaching Rohini Bugyal (however, this might be frozen if traveling in the winter months) Post Rohini Bugyal you’ll be traversing through ascends and descends to reach Chopta. The forest will continue to thicken around you throughout the entire day today. There are also multiple shrines splattered across your trek today. If you’re lucky, you might even spot from leopards & foxes – keep your eyes peeled and be alert of noises around you! Uttarakhand is also famous for its birds – as the forest continues to thicken, the birds become more exotic and rare. They will be a sight to behold. Enroute, you will also spot Kala Parvat, below which is a small glacial lake, Bisuri Tal. Of course, there is a legend associated with the lake – the Pandavas hid their weapons here. You can choose to stay at Rohini Bugyal for the night or move further ahead for another 3 KMs. 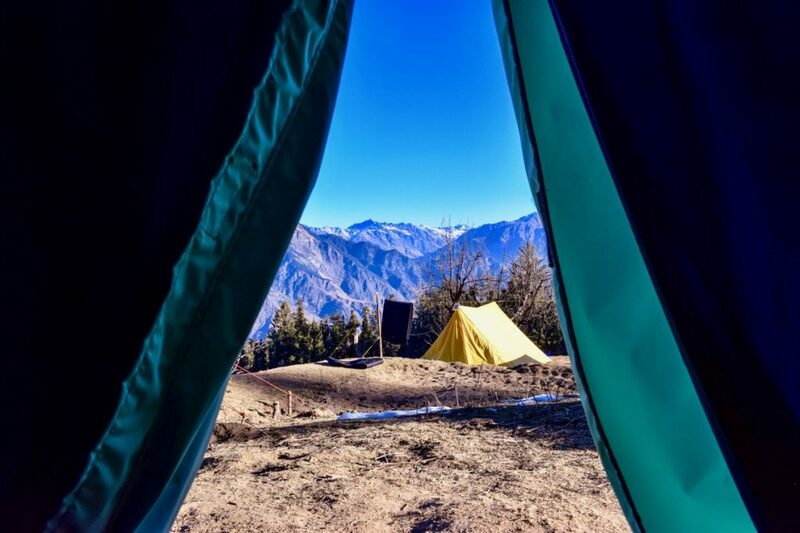 It is preferable to camp at Baniya Kund Campsite, especially if you’re pressed for time. However, you can easily have a more relaxed day by covering these three KMs the next day. Take a call. Start this day as early as possible from Baniya Kund. This will ensure you catch a spectacular sunrise from Tungnath & Chandrashila peaks. There is a cemented pilgrim trail from your campsite where your journey for the day starts. The climb is sharp, but, overall the walk is enjoyable. At Tungnath there is a beautiful historical temple (which is closed in the winter months). From the temple, Chandrashila peak is about 1.5 KMS, with the last half KM being an extremely sharp climb. 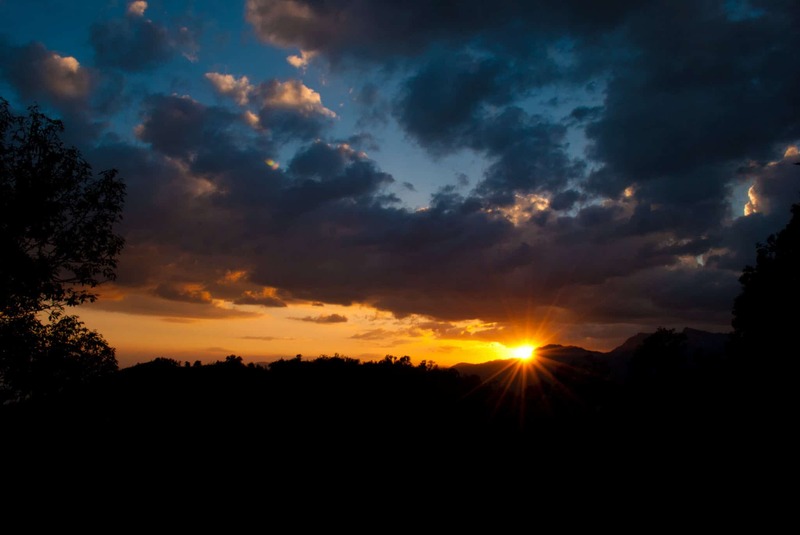 At the top, enjoy the panoramic views of Garhwal & Kumaon peaks. Spend as much time as you like here and then start your descend towards Chopta. You will be able to find some guesthouses in Chopta. A trek to be enjoyed just for the sheer beauty of the trail and the spectacular views from the top. It is even more endearing given that you don’t have to work too hard for your views. Great for beginners to get into trekking. 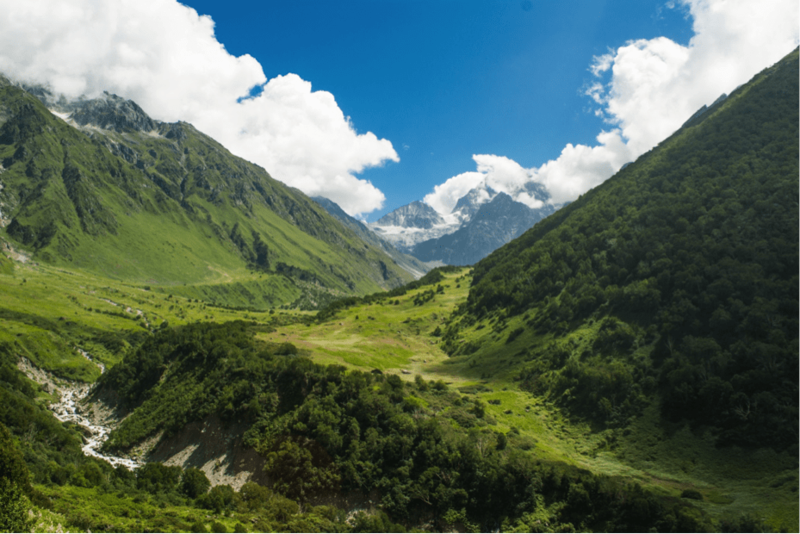 Known all around the work, Valley of Flowers trek is FAMOUS, possibly the most searched place in Uttarakhand (although there is tough competition for great places to see in the state)! It’s a rare botanical garden with an epiphany of colors, the entire (huge, wide valley stretching up-to around 8-10 km) is submerged in the play of colors. The moment you enter the valley; you see the amazing riot of flowers. There are different kinds of flowers like red, which are followed by the pretty yellow flowers. The valley itself is beautiful scenery, you have the view to peaks on all the side, some of them are snow clad and some are grasslands and on top of it all, there is also a beautiful river flowing in the middle of the valley. Valley of Flowers is absolutely amazing for a first timer. If a landscape can be defined as ideal – this has to be it! Also, you must cover the Hemkund Sahib. Having langar after an adrenaline-charged climb to the top of 14,400 Ft is an achievement that will be cherished for a lifetime. From Dehradun, reach Haridwar and move further along to reach your base camp of Govindghat. You’ll need to travel along the beautiful Alaknanda river on the Badrinath Highway. The roads are steep and cut in a dangerous manner, so if you’re driving on your own, BE VIGILANT! Especially during the monsoon season, when this trek is in-season, the rivers might be overflowing. The drive from Haridwar will take you around 11 hours. The trek begins. On your first day, you’ll drive to Poolna (4 KMs) and then you’ll be covering about 9 KM of distance and this should take you about 6 hours. The trail is well defined, and usually, you’ll spot a lot of Sikh pilgrims. The entire trek is beside the river and there are multiple dhabas along the way, serving lip-smacking food. The gurudwara offers free accommodation & food for all. You may leave Ghangariya as early as possible, 6 AM is ideal. You will need to buy an entry ticket for the Valley of Flowers. The well laid out trail metamorphoses into a small footway along the side of the valley. The journey will take you around 6 hours total with 3.5 KM one way. Once you reach the valley, enjoy the carpet of colors as far and wide as you can image – splattering of yellow, blue, red, pink, green and everything in between! Some common flowers in the region are Himalayan Rose, Blue Poppy, River Anemone, White Leaf Hog Foot, Meadow Geranium, Hooked Stick Seed, and Dog Flower. 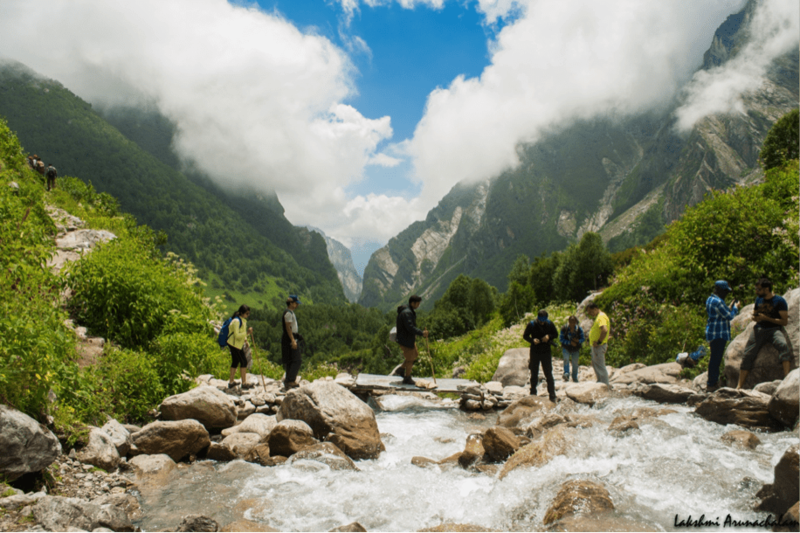 Prior to heading back, it is strongly advised that you also cover the Hemkund Sahib, which will add another day and 6 hours of a trek to your journey. However, if you choose to go back then the journey will take you around 4 hours. Carry sufficient water with yourself for the journey. Do not go without a guide on any trek unless you have a lot of experience in climbing mountains. Mountains can be harsh sometimes and that’s why you need a guide. Use proper trekking gears while doing any trek. In the case of bad weather, even the gear can be very much helpful. Always carry some extra water and food while trekking because weather is always uncertain in the mountains. Do not litter waste in the mountains. Be a responsible trekker and keep these mountains clean and beautiful. If you want to have a slow life where you want to just disconnect from this world and have some time of your own, then trek to any of these mountains and I bet you’ll feel much better. You will be amazed by the beauty of the Himalayas that you will not stop yourself from trekking again. If you know your friends or family are planning a trek to Uttarakhand, do share this article with them to help them make a memorable trip.